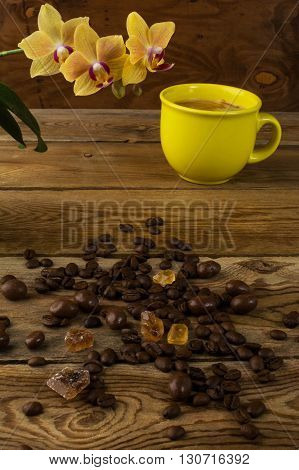 Coffee cup and orchid vertical. Coffee cup. Cup of coffee. Strong coffee. Morning coffee. Coffee break. Strong coffee. Coffee mug.